TV Installation Dubai You’ve just arrived home with your 110-inch HD television and you are so excited to set it up and be blown away by the colour and sound. You eagerly unpackage your brand new TV and find the perfect place in the room… Only to realize that you don’t have the tools required to mount it on the wall. You then remember that you can contact TV installation services in Dubai.The handyman slim have experience in mounting televisions of all sizes, with various types of TV wall mounts, from fixed wall mounts to articulating wall mounts. All you have to do is book one and then sit back while they take care of setting up your new TV for you TV Installation Dubai. A professional handyman will bring all the correct tools for the job and perhaps even extra manpower, depending on the size of your television. They will make all the measurements and check where it is safe to drill holes in your wall and then mount your TV in the correct position. Many maintenance companies have a warranty on the work done, so having a professional handyman do this job for you can be highly beneficial as it offers peace of mind. Setting up a new TV can be daunting – all those messy cables and complicated connections so why not let us do it all for you? We can fix your TV to the wall and get it hooked up to your existing kit and tuned in. We’ll make sure the cables are tidy and give you a demo .You also have the option to have your new home cinema kit or soundbar installed at the same time as your TV.We are providing services for TV Installation in Dubai. In Buildings, Flats, Offices and Villas. Famous Satellites are: NileSat, Hotbird, BadrSat, Hellas 2, Amos 2/3, Asiasat 3c, IntelSat17, Astra, Atlantic Bird, Yamal, EutelSat W3-W6, EuroBird-EutelSat 9a, Eutelsat 16, IntelSat 902, ApStar, Express. Eutelsat 12A etc. Lots are other satellies which have elevation in TV Installation in Dubai. Famous Language Satellites are Arabic, English, French, German, Turkish, Italian, Brazilian, Croatia, Greek, Spanish, Hungarian, Sweden, Serbian, Russian, Persian, Urdu, Hindi, Sindhi, Punjabi, Afghani, Malayalam, Tamil, Telegu, Indonesian, Philipines, Sri Lankan.Your TV mounted to a wall by our expert installers. The growing international communities within Dubai and the surrounding regions, demand satellite television to watch their favorite shows from their countries. For customers wishing to install a satellite dish, Dubai offers a wide range of available choices. However, finding reputable satellite installers can be a daunting task.Many reputable companies provide the services needed to get satellite TV installation completed. The majority of them can be found on Handyman-Slime Dubai website under Satellite Dish Installers with description, contact information, reviews and ratings. 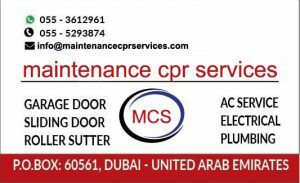 These ratings are coming from people who have already done a job with the “Handyman-Slime Dubai” (service provider).Sliding door repair Dubai Mobile Repair Dubai.